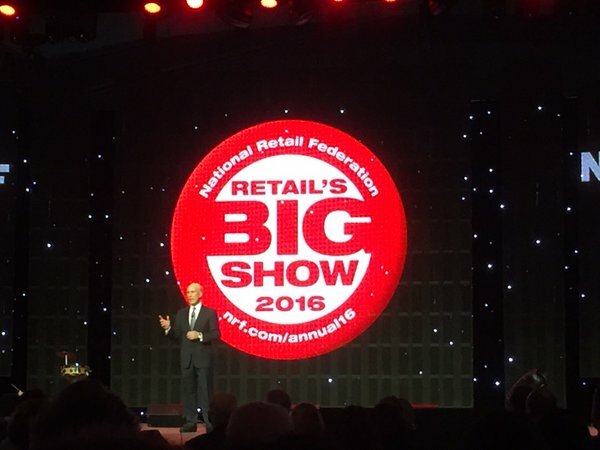 On Monday, the FBIC Global Retail & Technology team attended the second day of Retail’s Big Show 2016, presented by the National Retail Federation (NRF). Below, we highlight the day’s events, including keynote addresses, talks, discussions and even a virtual store tour. Our full report wrap-up is available here. NRF President and CEO Matthew Shay spoke about the NRF’s achievements in 2015 and expressed confidence in the organization’s effort to continue serving retailers with its network and resources. 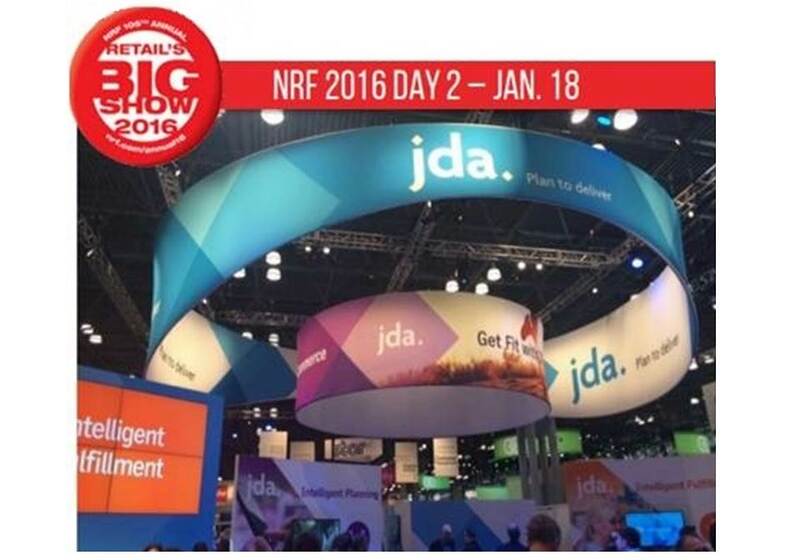 In 2015, the NRF devoted $60 million in servicing the industry with meetings, events and research. Former Secretary of State, General Colin Powell commemorated two events this weekend, the 25th anniversary of Operation Desert Storm, and Martin Luther King Junior Day. Powell said that we owe it to today’s young people to instill confidence in them, as they will be the leaders of the next generation. We cannot change the past, but we can influence the future, and today’s young people are the stewards of the future. 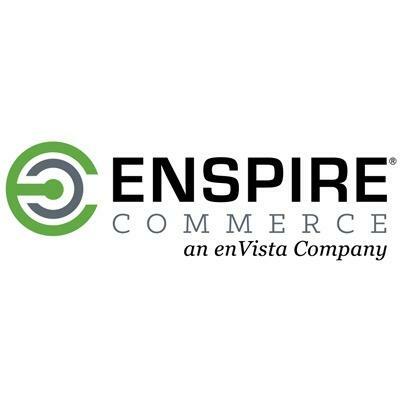 Jim Barnes, CEO of Enspire Commerce, said retailers need to focus less on sales and more on clienteling, he cited surveys that show that an overwhelming majority of consumers prefer to shop in a store rather than online. Barnes stated that better retail management involves: personal curation; the store “understands who I am”; the salesperson makes suggestions; the salesperson takes an interest in the customer; the salesperson facilitates the buying process; and the salesperson is part of the experience. The Retail Design Institute hosted a virtual store tour that focused on unifying ideas in retail and highlighted specific retailers that stand out. Personal: Customization allows retailers to observe customers at close range and see how they interact with and react to various product iterations. Social: Customers are drawn to settings that are supportive. Click through to our report for more details. Speakers: Uwe Bald, VP of International Business Development at Hermes, and Jim Brewster, CEO of Venus Fashion. Over 45% of global shoppers look for US products and few of them have direct access in their home country. Brewster said global shoppers are quite sensitive to return policies, and that 33% of them abandon their shopping cart if they find the return policy is too strict. In 2013, plus-size retailer Ashley Stewart was facing its second bankruptcy in less than three years. 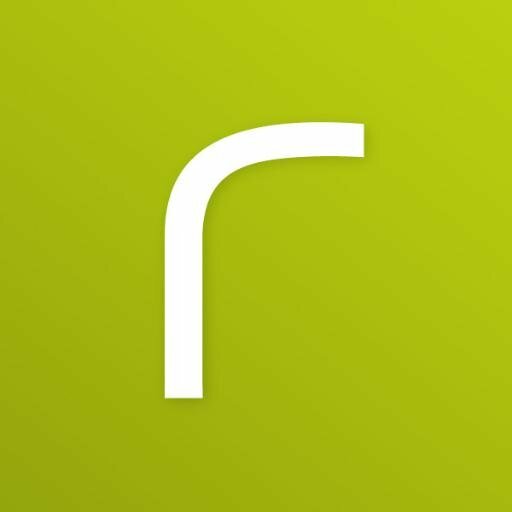 Investor and board member James Rhee stepped in, resigned from the board and his other roles as an investor, and became CEO. This marked the first time he had ever run a company, but he developed a plan to turn it around. Read on for Rhee’s impressive turnaround plan. IT spending will grow by 4.6% and store IT will grow by 3.9%. 59% of retailers missed the EMV deadline. Cloud-based solutions will account for 26% of all software spending in 2016. Read on for further details into the Annual Store Systems Study. 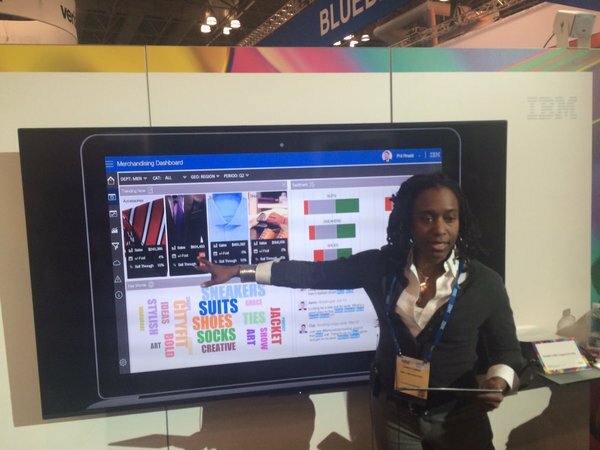 Marketing and analytics: IBM demonstrated its capabilities through an exercise of a shopper visiting an imaginary store, VT Living. Management was able to view sales through a dashboard and saw that sales of tailored suits were trailing expectations. Demand insight: Watson AI can use weather and data from social media to improve the efficiency of sales forecasting by 17%, where an increase of 1% or 2% is considered large. 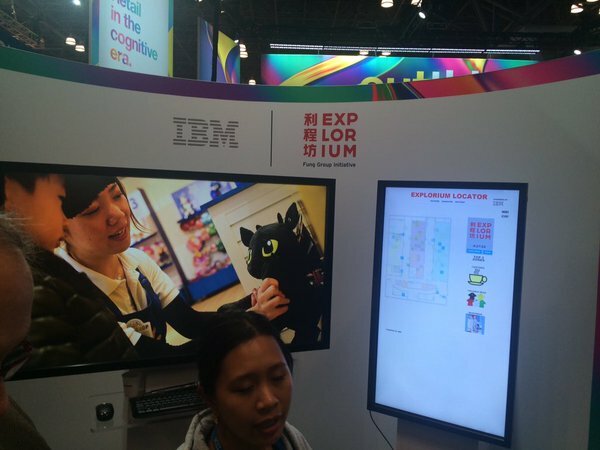 Explorium: The Explorium represents a strategic partnership between the Fung Group and IBM. It is the replication of a retail environment that monitors where members go, how they spend time and how they spend money. Sample tenants include Build-a-Bear, Toys “R” Us and Stride Rite shoes. It is difficult to get children to try on shoes, so Stride Rite developed a game called Kiki that encourages children to do so. Full report available here and stay tuned for our wrap-up of Day 3 to follow.